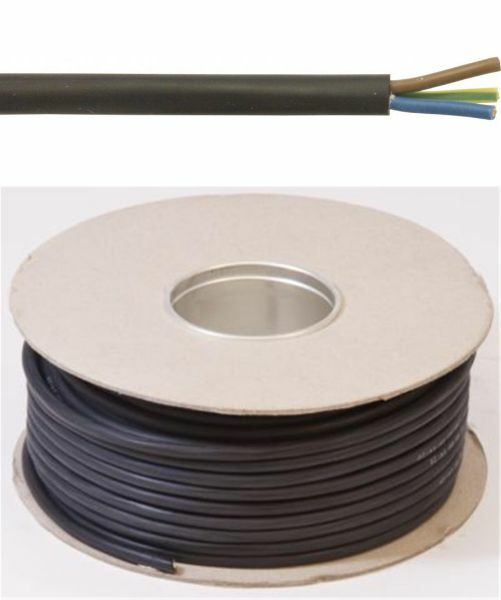 5 metre long 3 Core Twin & Earth, tough rubber sheathed electrical cable. Suitable for garden or submersed use and for extending or repairing electrical items such as pond pumps, filters or mains powered outdoor lighting. For extending cables using Water Garden's range of Cable Connectors. Not suitable for burying underground without adequate protection.